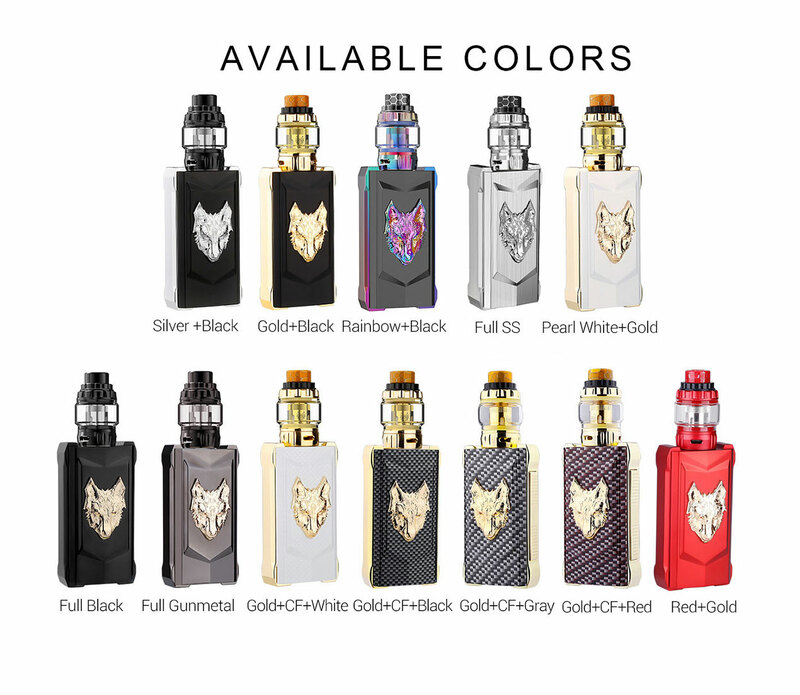 Sigelei Snowwolf Mfeng 200W Mod Kit with Wolf Tank Atomizer 6ml *LIMIT – E-CIGARETTES.CA INC. Snow Wolf Mfeng kit with 200W Snowwolf Mfeng MOD and Mfeng Sub ohm tank Powered by dual 18650 batteries. It supports the output range of 10-200W and will prove its high-performance. Equipped with an intuitive 0.96 inch TFT Full-Color screen and human-friendly interface, Mfeng Mod also supports VW/Bypass/TC(Ni/Ti/SS/TCR) modes to meet your vaping needs.